My middle size - when flat it measures a minimum of 9.5"x11". 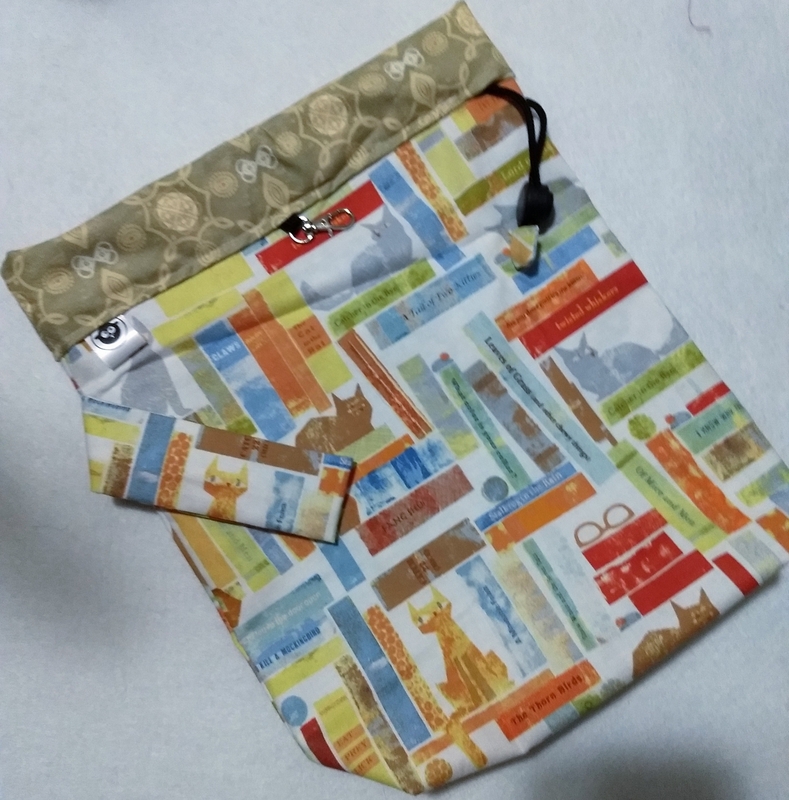 It is made with a wrist strap and a locking round cord with a coordinating fabric tab. It comes with your choice of a set of five matching dangle stitch markers, or a matching zipper pull/progress keeper or set of 10 seamless simple rings (regular size). This bag will fit two 100g skeins and is great for accessories or wee garments. Where more than one bag is available, exact print placement may vary.